Dr Maha Fahmy received her Post-Graduate studies from Alexandria University Egypt. She was promoted in her academic career, and from 2002-2008 served as chairman of Prosthodontics Department Tanta University, Egypt then a full Professor from 2009 at the Science and Dental Prosthodontics(SDS) Department-King Saud University, Riyadh. 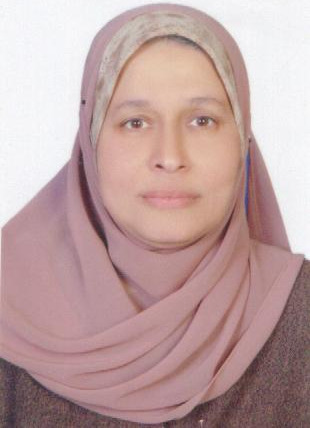 She is the Course Director of Post Graduate Master Program Pre-Prosthetics and Geriodontics 2012 ,a member of the Egyptian dental association 1998 ,Saudi dental association 2009. 1) Socioeconomic Factors and Complete Edentulism in Riyadh Tanta Dental J 2014. 2) Chromatic stability of light activated and heat cure acrylic resin submitted to accelerated aging. The Saudi Journal for Dental Research June 2014. 3) Clinical and Radio graphical Evaluation of the Effect of \"Statins\" on Implant Retained Mandibular Overdenture in Diabetic Patients Tanta Dental J 2012. 4) Evaluation of the precision of three implant transfer impression techniques using two elastomeric impression materials. Inter.J .of Prosthodontics vol.23, 525-528, 2010. 5) Effect of incorporating rubber modified Montimorillonite on some physical and mechanical properties of heat-cured acrylic resin denture base part I Egyptian Dental J 51:1365-1371, 2005. 6) Effect of incorporating rubber modified Montimorillonite on certain properties of heat-cured acrylic resin part II Tanta Dental J 2:27-42, 2005. 7) A three dimensional mathematical model of tempromandibular joint loading during maximum unilateral occlusion. Alex Engineering J. 40: 135-145. 2001. 8) Bilateral Balanced Occlusion versus Lingualized Occlusion in Mandibular Implant Supported Prostheses. (Electromyographic and Ultrasound Studies) Ainshams Dental J11: 59-66, 1999. 8) A comparative study of splinted and unsplinted osseointegrated implant and Natural Teeth in Mandibular Overdenture Therapy. Clinical, Radiographic and Finite Element Studies. Ainshams Dental J.11: 67-76. 1999. 9) The effect of piezoelectric current on Osseo-Integration of root form Endosseous Implants under Lower over Denture. Egyptian Dental 45: 3731-3737, 1999. 10) Evaluation of the effects of different denture base materials on the supporting tissues beneath maxillary single complete denture. Clinical, Radiographic and Finite Element Studies. Egyptian Dental J. 45: 4101-4109, 1999. 11) Bond strength characteristics of cast titanium alloy to heat cured polymethyl methacrylate denture base Material using an adhesive system. Egyptian Dental J. 45: 3987- 3995, 1999. 12) Clinical Radiographic and finite Element Analysis of the Effect RPI and the RLS clasp Designs of the Supporting Tissues. Egyptian Dental J. 44: 3029-3036, 1998. 13) Study of Stress Transmission by two different designs in Hemimandibulectomy cases. Cairo Dental J. 14: 89-97, 1998. 14) Electromyographic study of the effect of neutral zone determination on certain muscle functions at different Angleâ€™s classifications. Ainshams Dental J. 4: 333- 340, 1998. 15) Clinical and Electromyographic Studies on Lower Complete Overdenture Wearers Using Two Different Tooth Forms. 9th International Dental Congress Nov 11-14, 1994 Alex, Egypt. 16) The use of piezoelectric current for remodeling irregular residual ridge under lower denture. The new Egyptian J of Medicine 8; 418-423, 1993. 17) The role of bioglass implant in preserving proprioception in complete denture wearers. Alex Dental J. 18:13-22, 1993. 18) A study of transmission by distal extension removable prosthesis constructed according to different concepts of design. Alex Dental J. 18:103- 126, 1993. 19) EMG study in lower distal extension partial dentures retained by bar clasps and Mackey- mortise precision attachments. Alex Dental J. 8:153-162, 1993. 20) Effect of Curcuma Longa extract on the plague formation and gingival health of overdenture abutments. The new Egyptian J. of Medicine 9: 732-73 8, 1993. 21) The fungicidal effect of ultraviolet radiation on heat cure polymethylmethacrylate soft liner and denture base materials. 8th International Dental congress Oct 28-31, 1992. Alexandria, Egypt. 22) Comparative laboratory study of different curing techniques on two mechanical properties of a silicone rubber heat cure soft lining material. Al- Azhar Dental 16: 447-458, 1991.